Short-sleeve T-shirt in a magenta Tanzania print. 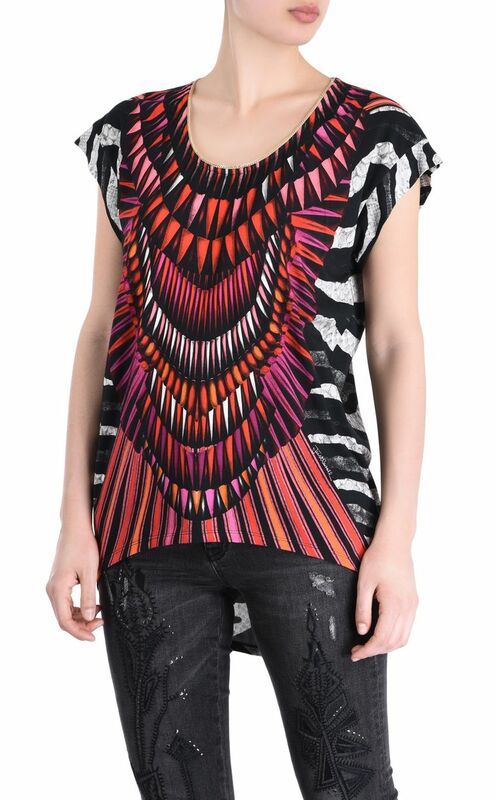 This gorgeous print channels fun geometric details with an exotic twist. 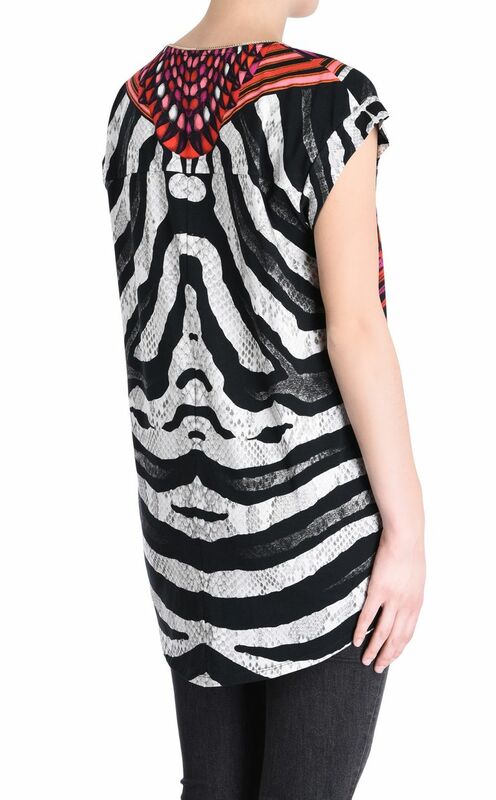 Dipped hemline on the back with all-over zebra print detail. Round neckline. Slouch fit. Small batwing sleeves.